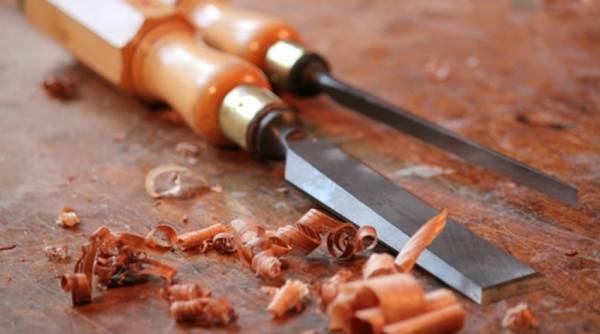 Sculpting and Chip Carving is a very old, almost forgotten art but it´s still alive and we can proudly say: we can not only do it, we are specialized in these jobs ! 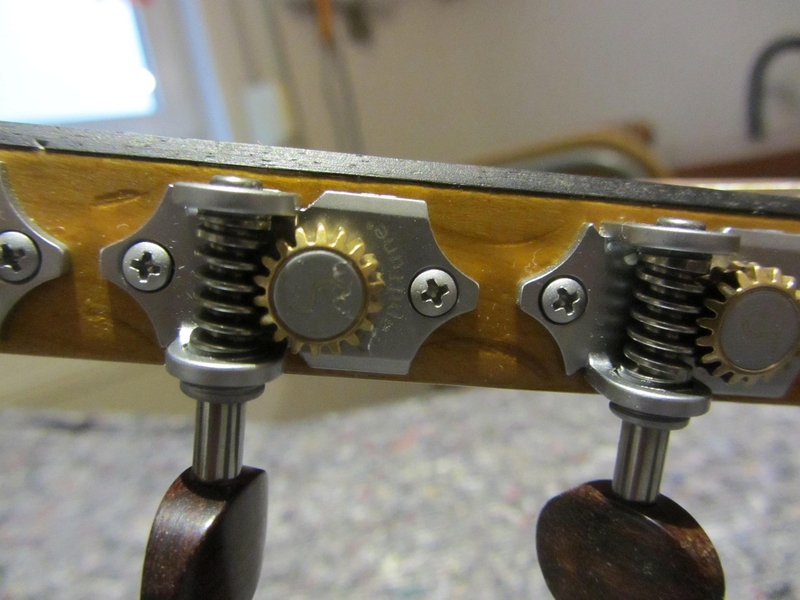 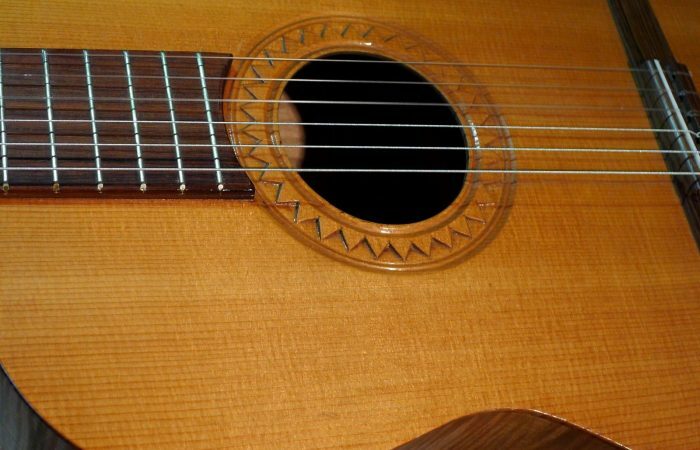 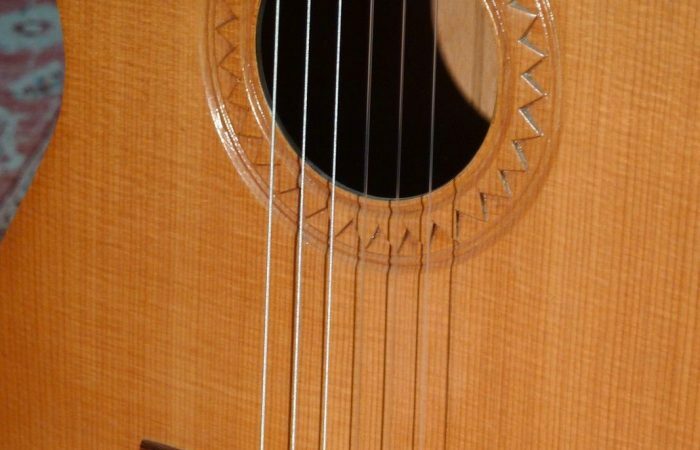 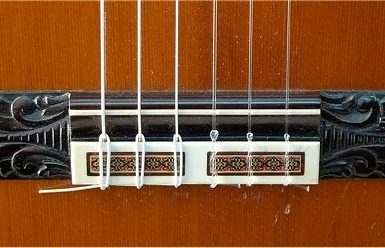 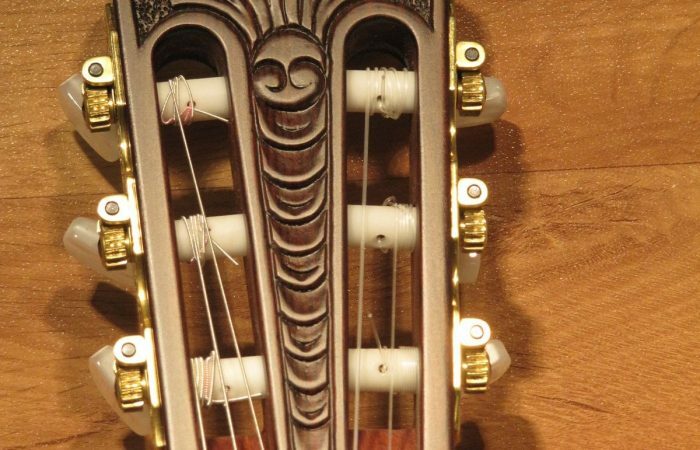 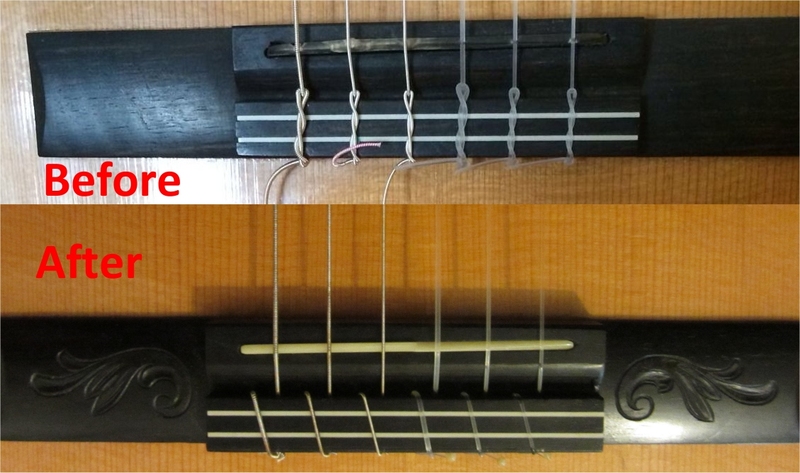 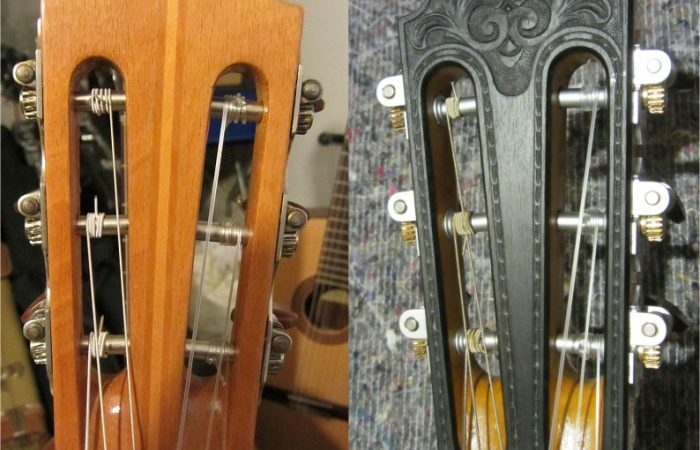 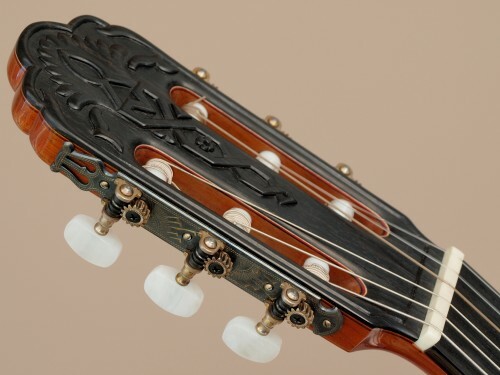 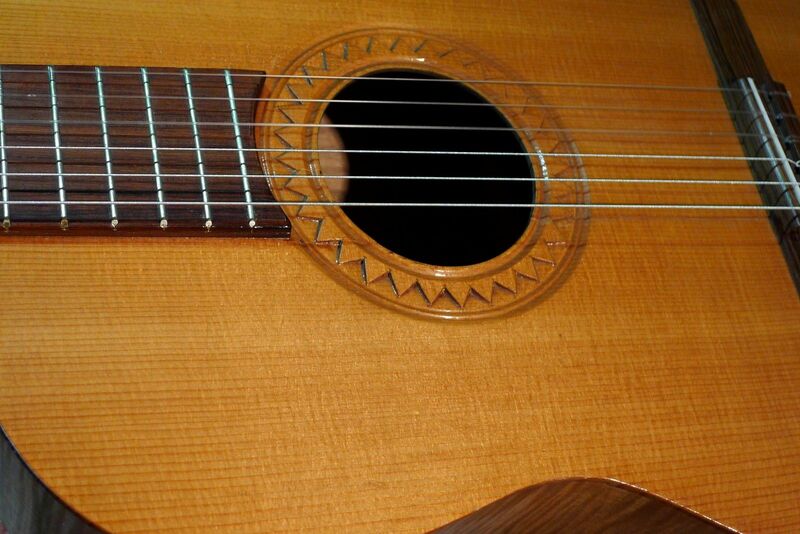 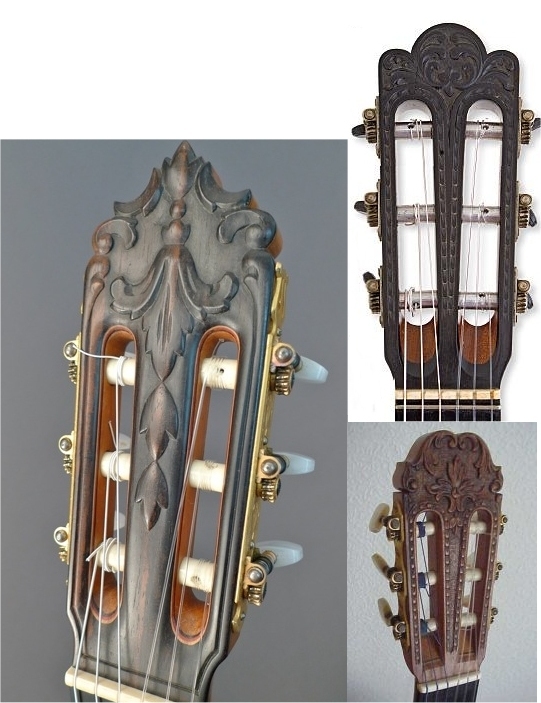 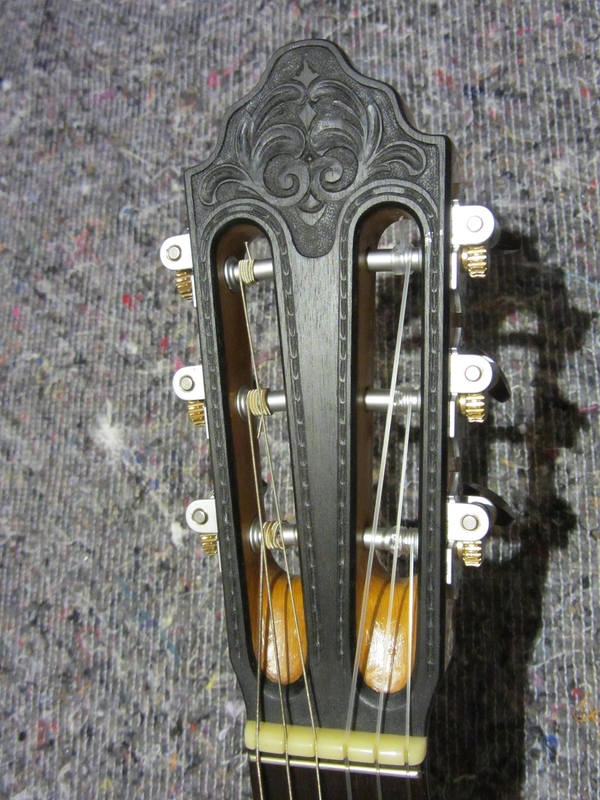 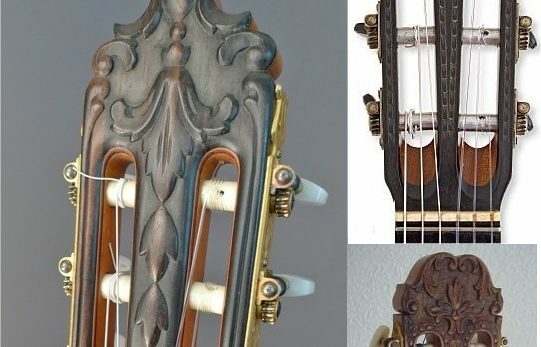 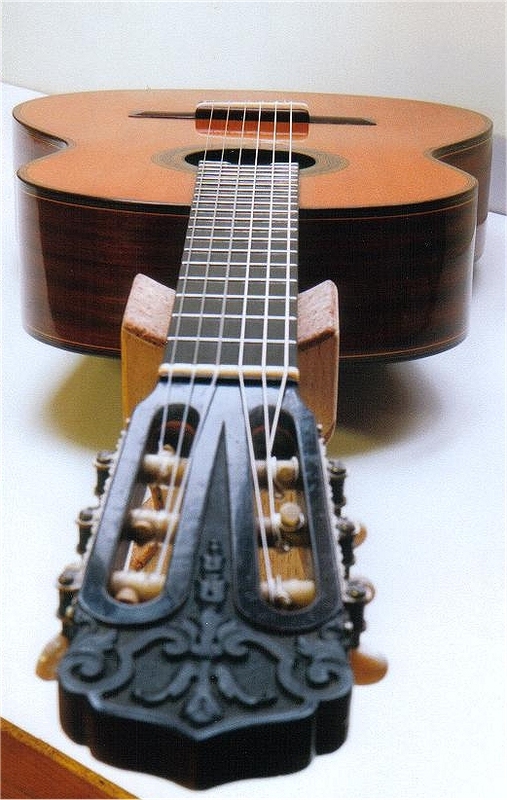 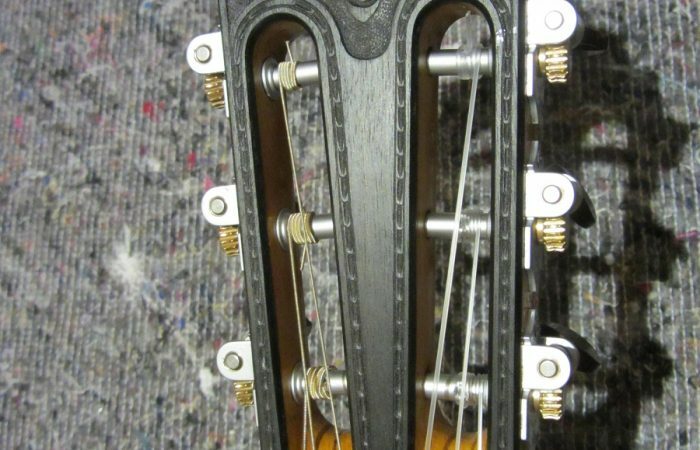 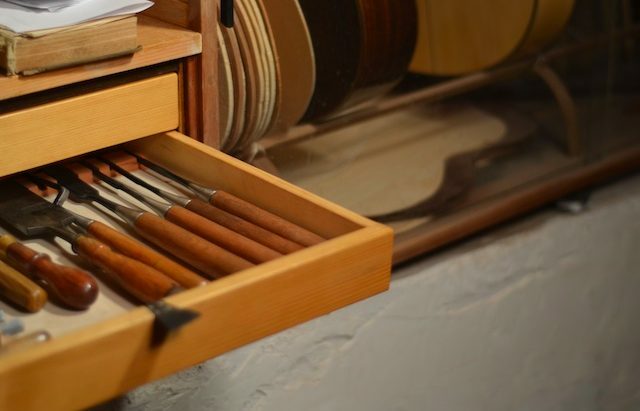 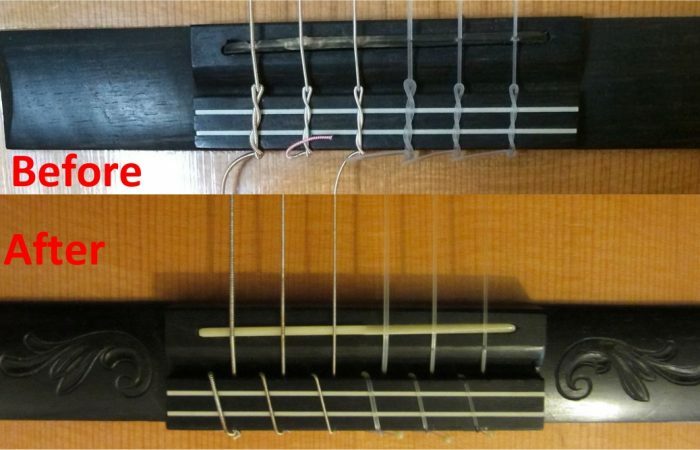 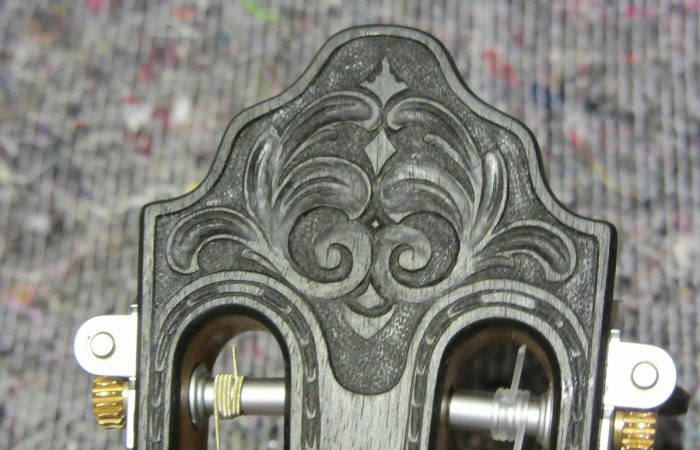 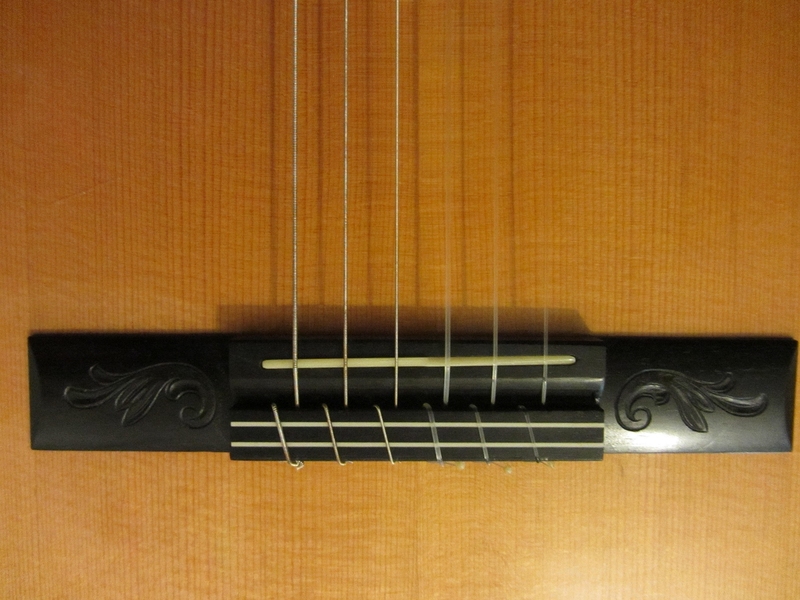 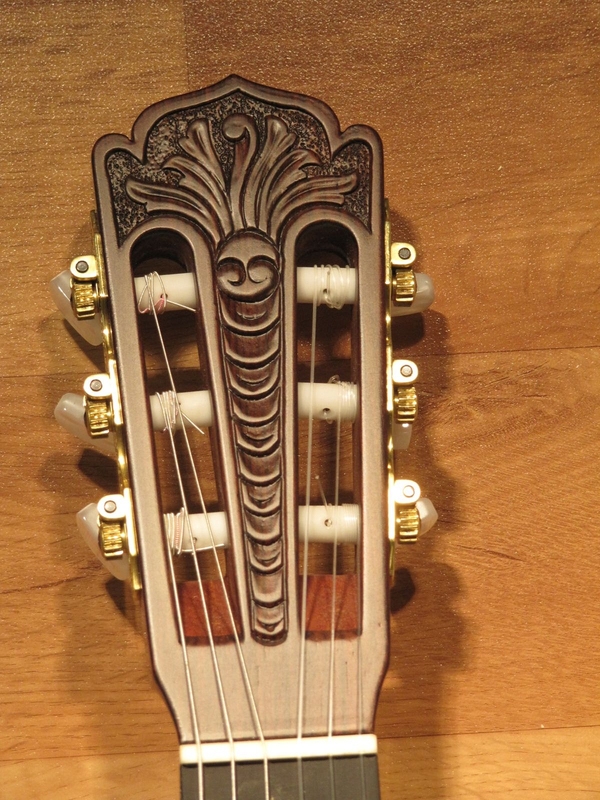 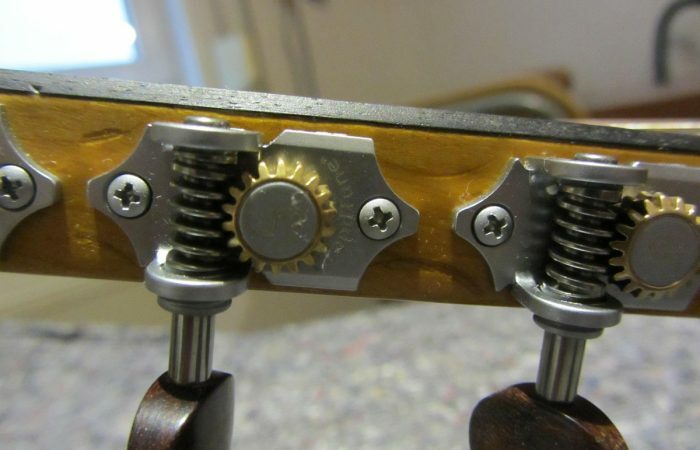 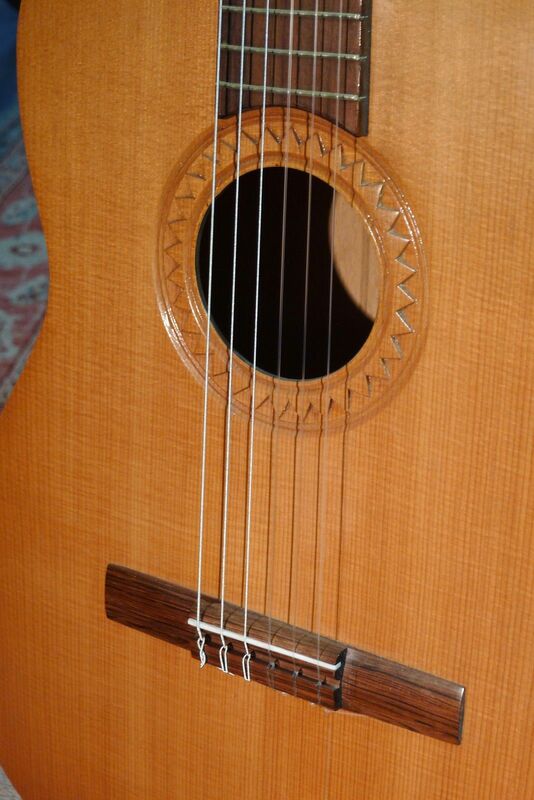 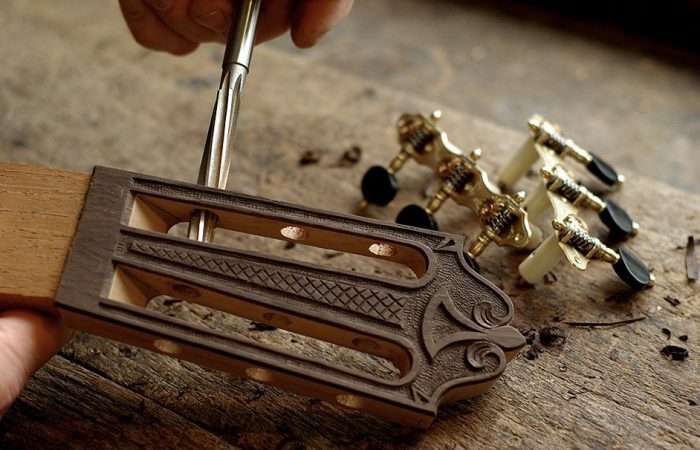 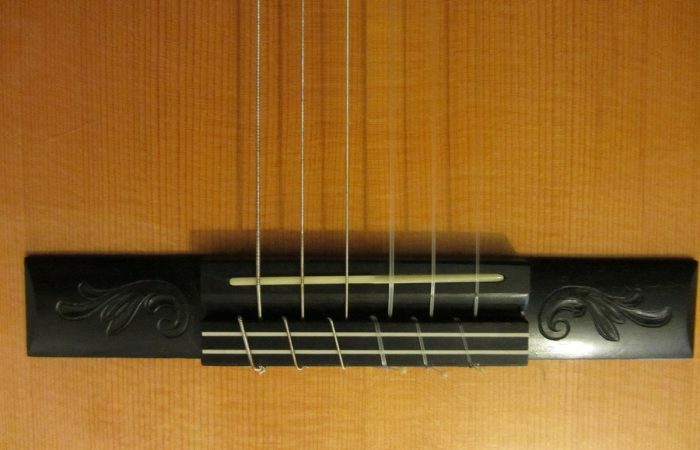 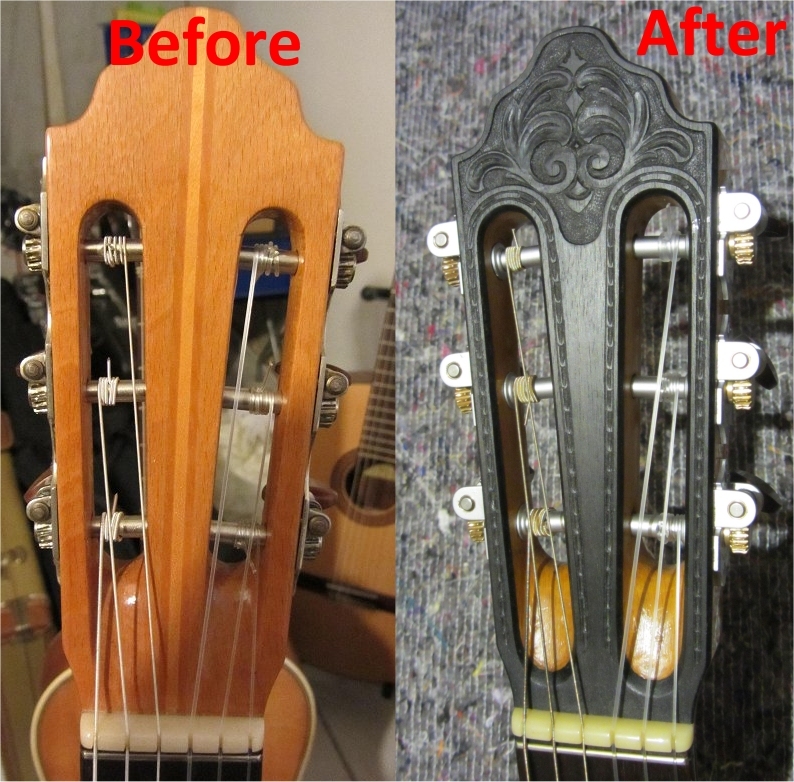 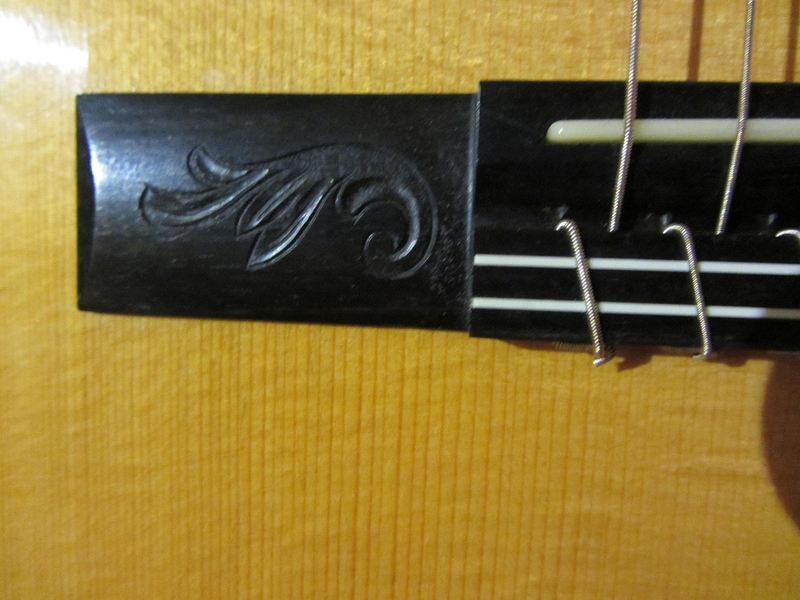 We can offer sculpting and chip carving jobs for headstocks, bridges and around the soundhole area of classical as well as steelstring guitars and, if you want it, for electrical guitars as well. 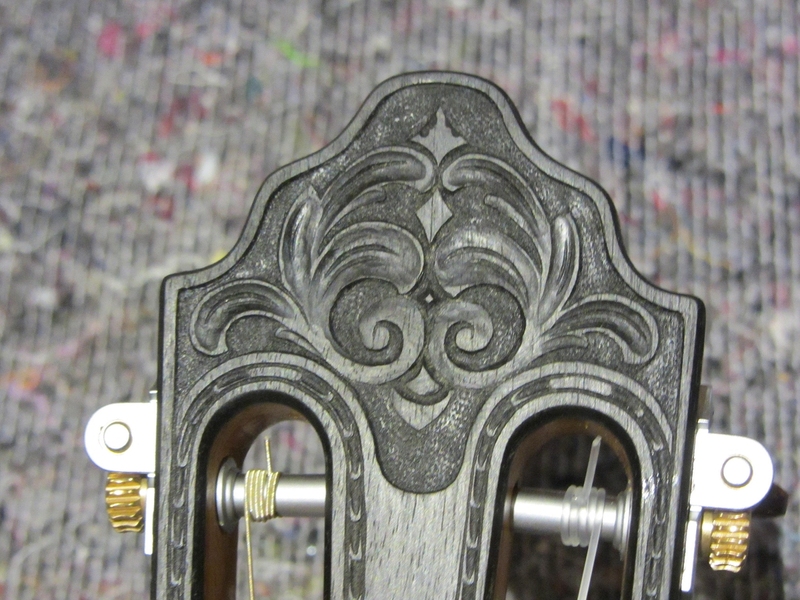 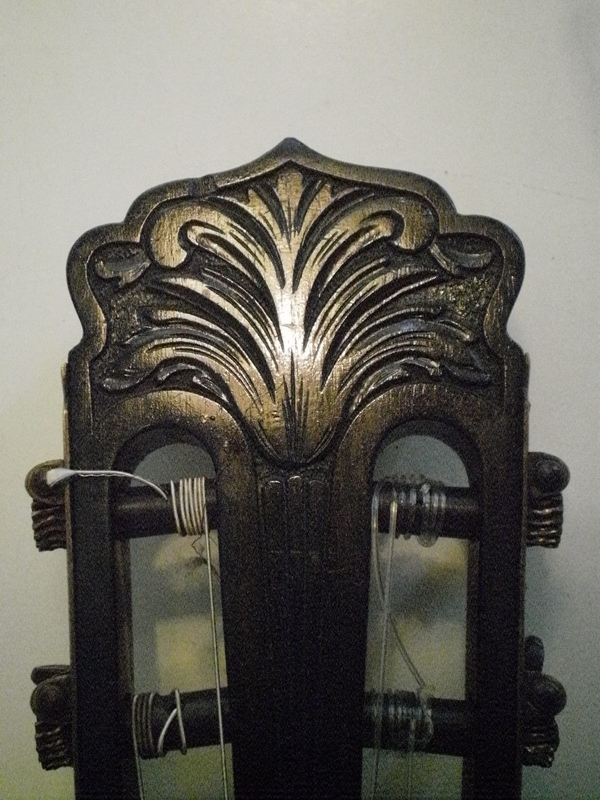 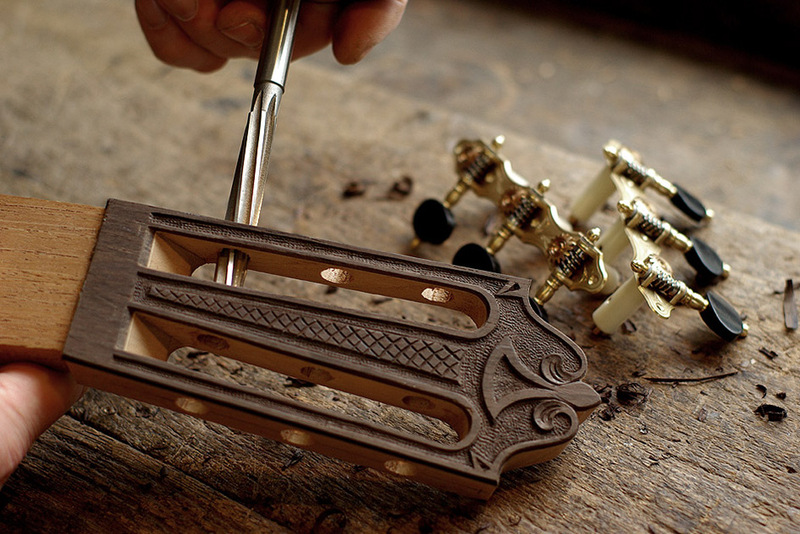 The carving is all done by hand, using traditional tools without any machines – so no Dremel and CNC machines involved. 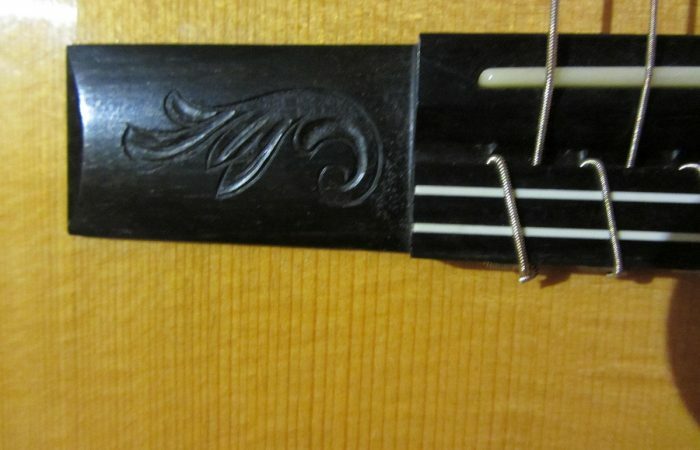 Besides wood, we can also carve leather (aka “hallmarking”) so maybe you are looking for a super-cool leather covered pickguard with a nice custom carving job. 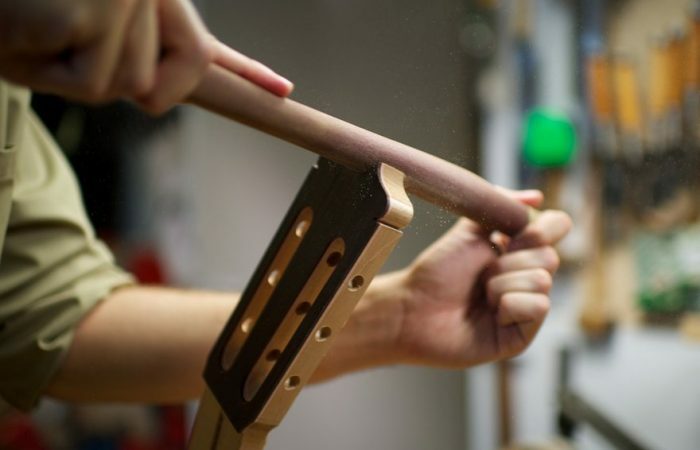 We developed a technique making it possible to add a carved faceplate to any headstock so you can retrofit any guitar of your choice, making your beloved instrument outstanding from the crowd. 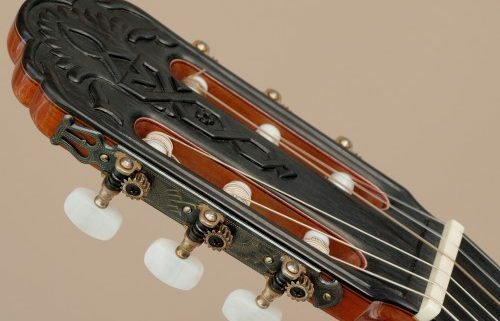 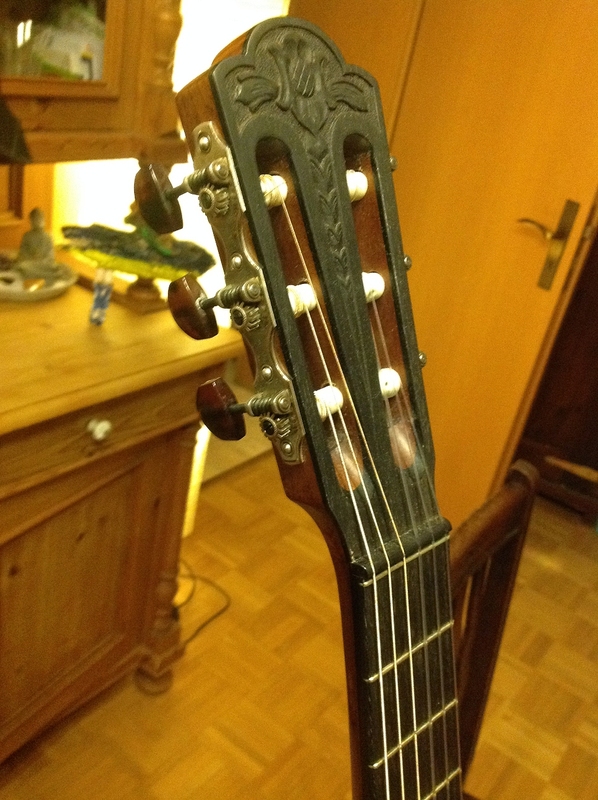 Naturally it´s also possible to do a carving job on a guitar that is just built so this offer is also interesting for luthiers and guitar building companies, wanting to add a very special touch to their high-quality instruments. 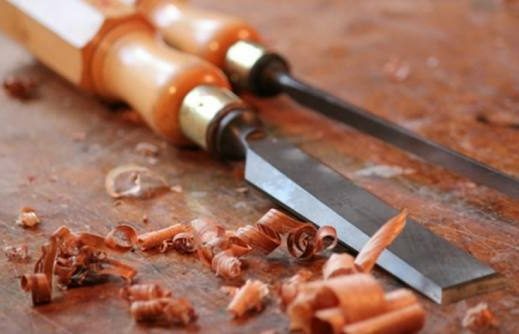 We can offer all the traditional carving pattern from the past as well as modern ones like tribals and trees of life and of course any custom pattern of your choice. 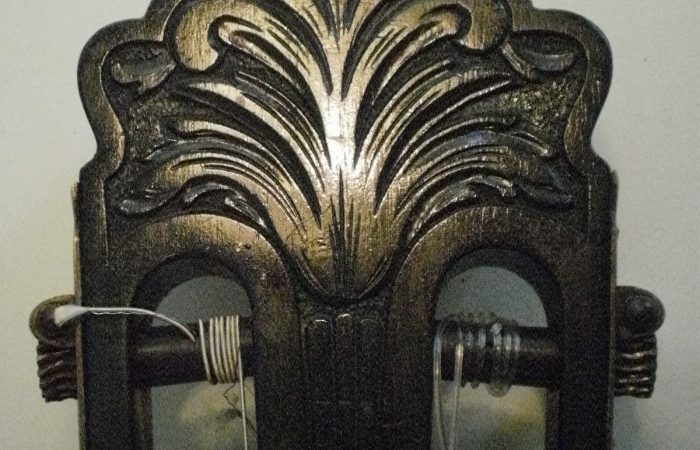 After the carving is done we will seal the wood with a special oil mixture that will harden like glass but according to your choice and the wood that was used we can also leave it untreated or put some shellac or clear coat on it. 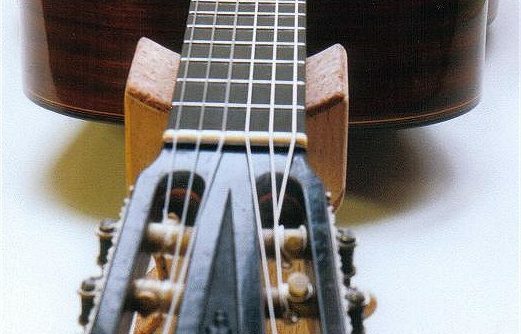 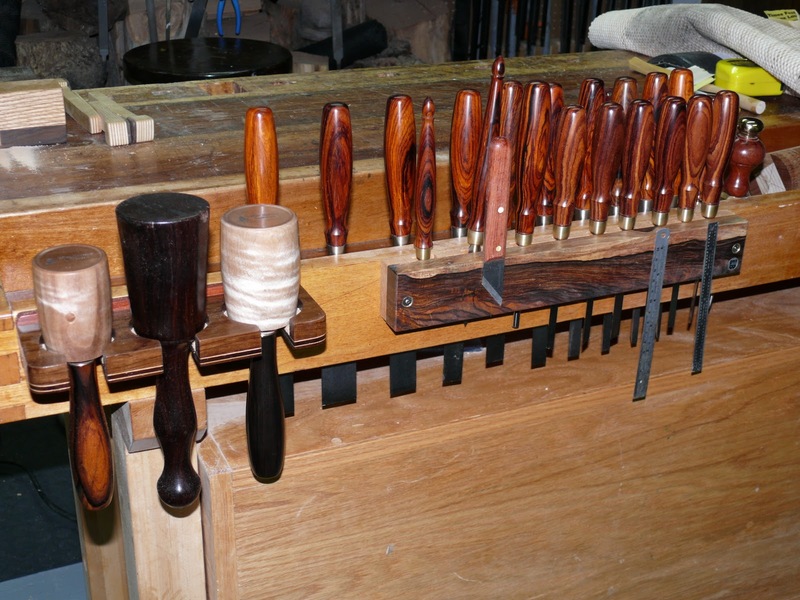 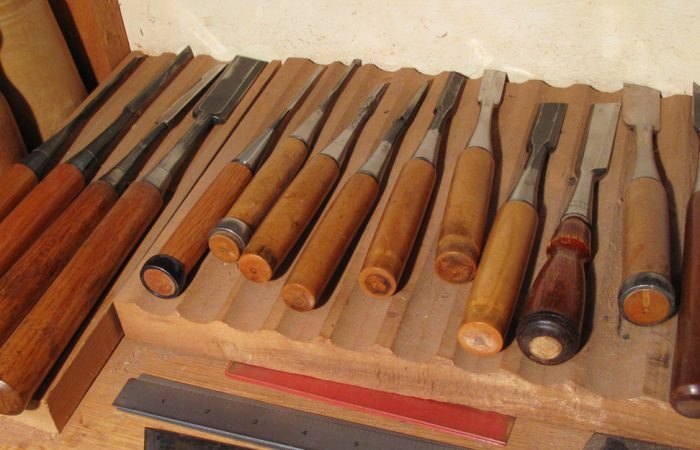 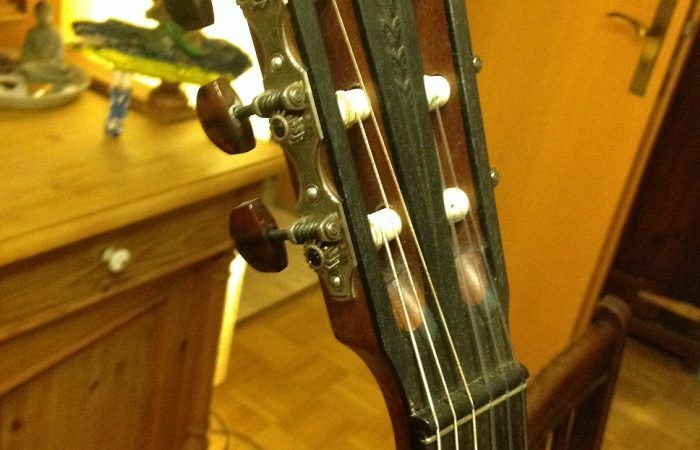 Almost all woods are qualified for carving jobs with rosewood and ebony as the common ones for headstocks and bridges and spruce and cedar for guitar tops. 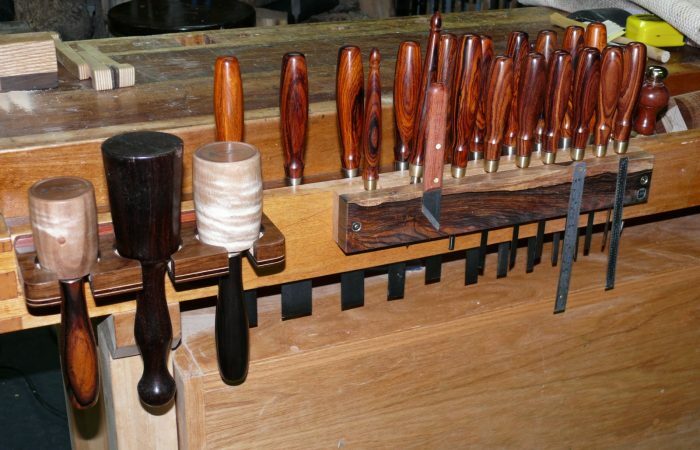 It looks best with dark woods but light colored woods can look great as well, especially when it is highly figured, offering some nice grain.